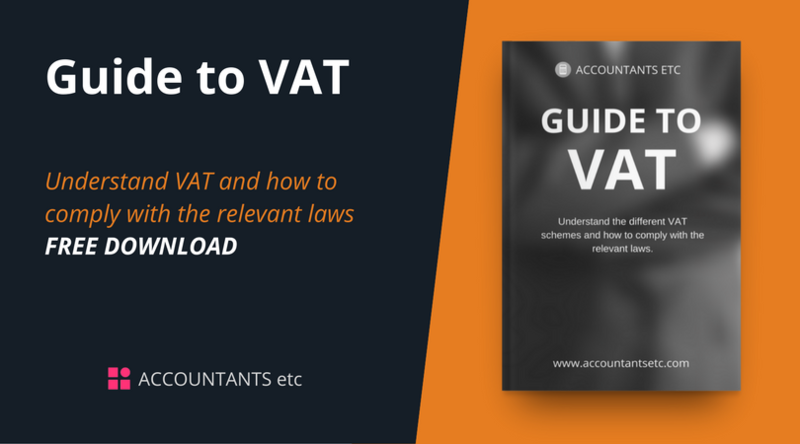 In this guide, we walk you through the different VAT schemes and explain how to comply with the relevant laws. Being VAT (value added tax) registered means you may claim the VAT back on VAT rated business expenses and capital asset purchases. It also means you’ll charge VAT on your invoices. Any type of trader is eligible, so whether you work as a sole trader, in a partnership or through a Limited Company you can register for VAT. If you have high outgoings and work mainly for VAT registered clients, VAT registration is good news. Firstly, your clients usually won’t mind - as they’ll usually be reclaiming the VAT anyway if they are VAT registered. Secondly, you’ll be able to claim the VAT element back from all your eligible VAT rated business expenditure. VAT registration is not so great if you have low outgoings and your customers are not VAT registered. If your outgoings are low there’s little VAT for you to claim back on your outgoings and, by adding 20% to your fees, you could price yourself out of your market. If your VAT taxable turnover goes over £83,000 in any 12-month period, or you will go over the threshold in a single 30 day period. You must register within 30 days of your business turnover exceeding the threshold. There are four VAT schemes, each with distinctive pros and cons, depending on the nature of your business. In all cases, you’ll need to submit quarterly VAT returns. Here’s a look at each of the schemes. With standard VAT accounting, your VAT payments are based on the dates invoices are raised, not the date they are paid. In your VAT return, you’ll need to list the VAT you’ve charged on your invoices for the applicable quarter and the VAT you’ve paid as part of your allowable business expenses and purchases. The difference between the two figures is what you’ll owe to HMRC. So, if you’ve invoiced more VAT than you’ve paid out, you will owe HMRC the difference – even if your invoices haven’t yet been paid. On the other hand, if you’ve invoiced less VAT than you’ve paid out, you can reclaim the difference from HMRC – even if you’ve not yet paid all your bills. With cash accounting, your VAT payments are based on the date invoices are paid. In your quarterly VAT return, you’ll list your input and output VAT amounts in the same way as for the standard accounting scheme. However, the amount you pay for that quarter is the difference between the total VAT you’ve actually received and what you’ve paid out. Therefore, cash accounting helps when the time between raising an invoice and getting paid crosses a VAT return deadline. The flip side is that you can’t claim VAT back on bills that you’ve not yet paid. This can reduce the benefit of any extended payment terms you agree with suppliers. If your turnover is below £1.35 million, you’re eligible for VAT cash accounting. VAT is paid on account throughout the year in nine monthly or three quarterly instalments. Your previous year’s VAT determines how much these instalments will be. However, if in your first year, then this is based on an estimate of your VAT liability. You only need to complete one VAT Return at the end of the year. If you have not paid enough VAT on account you will need to make a balancing payment to HMRC. If you have overpaid, you can claim a refund from HMRC. Annual accounting is not suitable for businesses that regularly reclaim VAT as you would only get one repayment at the end of the year. If your turnover decreases, your interim payment may be higher than understandard VAT accounting. The flat rate VAT scheme is designed specifically for small businesses to reduce the administrative burden of VAT registration. Under this scheme you charge VAT on your invoices at the full rate, yet pay a lower percentage to HMRC. Exactly how much lower depends on the industry sector you’re in. The balance is treated in the same way as income for the business. You can’t claim VAT back on your business expenses. However, you are allowed to claim it back on capital purchases where the receipt value is higher than £2000. In other words, if you buy a single item costing £2000 or more, or a combination of items exceeding that value in a single purchase, you can claim the VAT back. As an extra incentive, HMRC gives a first year discount of a further 1% off your industry VAT payment rate. You’re eligible if your annual turnover is less than £150,000 ex VAT. If your VAT inclusive turnover then goes over £230,000 in a financial year, you’ll no longer qualify. Once HMRC has processed your VAT registration, you’ll receive your certificate of registration. You’re now ready to submit your VAT returns online. You’ll need to submit your VAT return online, a period referred to as your accounting period. You’ll be asked to provide details of your sales and purchases and the amount of VAT that applied to these transactions. HMRC will then calculate how much VAT you owe, or how much you are due by way of a refund. As a VAT registered business, you’ll have to submit a VAT return every quarter, even when you have no VAT to pay or reclaim. The frequency of your return will depend on how you have set up your scheme. The options are: monthly, quarterly or annually. You can claim VAT back on most expenditure necessary for running your business. If you use the product of service for personal as well as business use, work out the business element as a percentage of the cost and claim the VAT on a pro rata basis. You can only claim the VAT on the fuel you use for business mileage, or you can claim on all your fuel and adjust it by paying a fuel surcharge. A problem that sometimes arises with standard VAT accounting is that a business pays VAT to HMRC, but doesn’t get paid by its client. You didn’t charge more than your normal price for the product or service. If you make a claim and the debt is subsequently paid, you must pay the relief back via your next VAT return. £400 if you submit a paper VAT return, unless HMRC has given you exemption from submitting online returns. Make a mistake on your VAT Return. If left unpaid within 30 days, further interest will be applied. HMRC will continue to charge you interest for as long as you don’t pay, up to a maximum of two years. This interest isn’t tax deductible. If you’ve overpaid your VAT and had to wait for a refund from HMRC, you can claim interest for this period. In most cases, you’ll be able to claim for the whole period between your payment to HMRC and the date it authorises your refund. Any interest you get from HMRC is taxable. HMRC doesn’t accept cheques from most businesses anymore, so you’ll need to pay your VAT electronically. If HMRC doesn’t receive your VAT return or the full VAT payment by the deadline, it records a default. You may then enter a 12-month surcharge period. 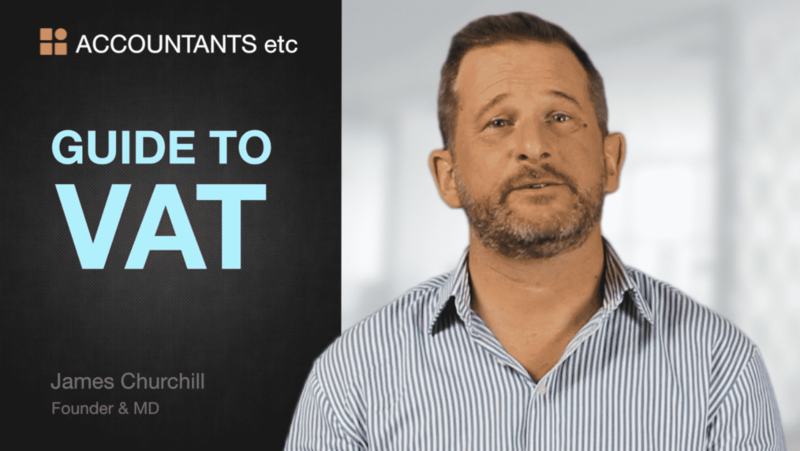 If you default again during this time, the surcharge period is extended for a further 12 months and you may be hit with a surcharge on top of the VAT you already owe. This will be a percentage of the amount outstanding on the date you missed the deadline. The rate increases with every subsequent default in a surcharge period. There are three different rates of VAT. This is the most common rate and it applies to most goods and services. You need to charge this rate unless your goods or services are classed as reduced or zero-rated. Mobility aids for older people are only charged at 5% if they’re for someone over 60 and the goods are installed in their home. Even though no extra money gets charged with these items, HMRC requires you to record zero- rated transactions in your VAT accounts and report them on your VAT return.